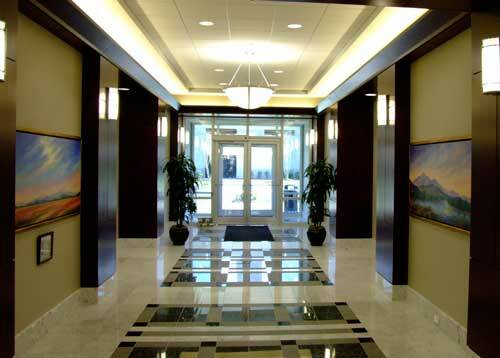 Here are some examples of past commissions for both individual collectors and corporate installations. 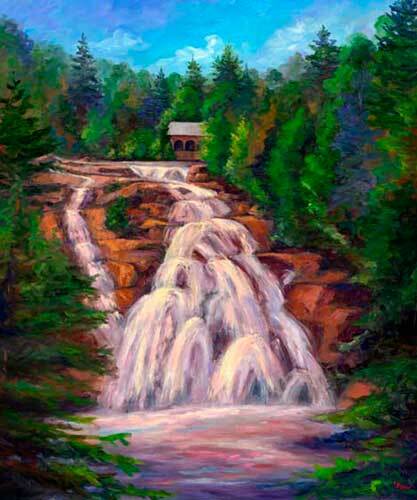 Just contact Jeff if you're interested in a commissioned oil painting. 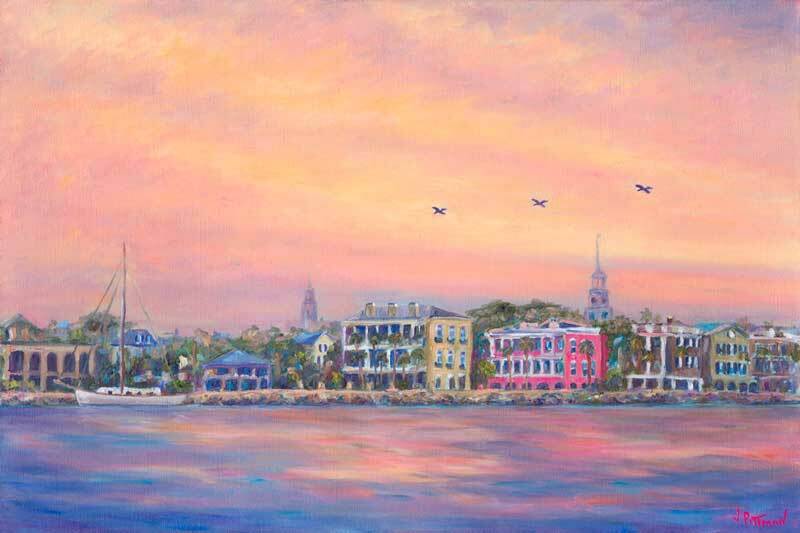 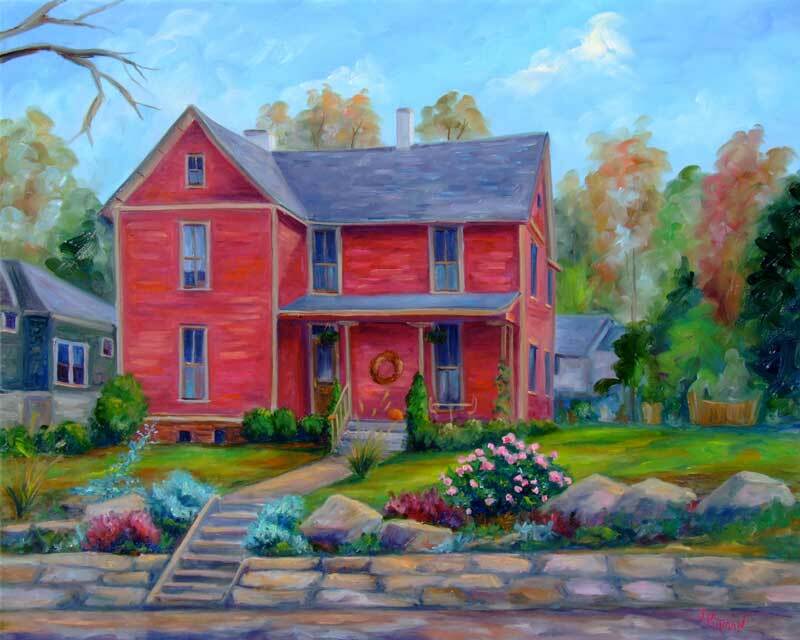 Some examples would be a painting of your home, sunset view from your deck, wedding venue or even just you're favorite place in town! 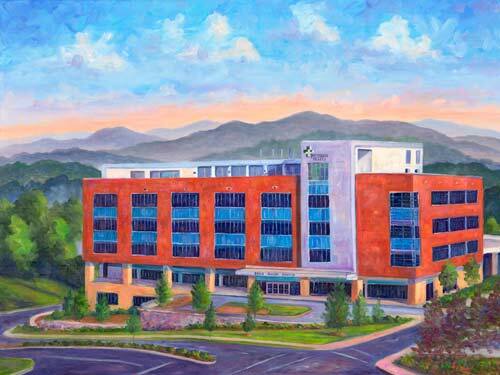 Large Commissioned Oil Painting of Mission Hospital's New SECU Cancer Center to celebrate their Grand Opening. 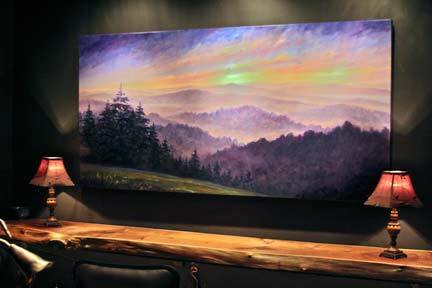 Recently installed large 40"x80" Oil Painting in a home theatre room added color & depth to the room & even helped solve some acoustic issues! 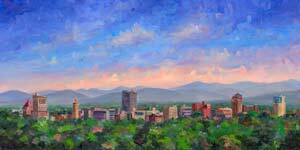 View of the Asheville Skyline from the Fitzgerald near the Grove Park Inn. 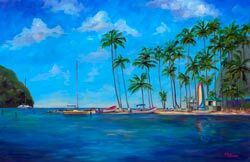 Marigot Bay in St. Lucia W.I. 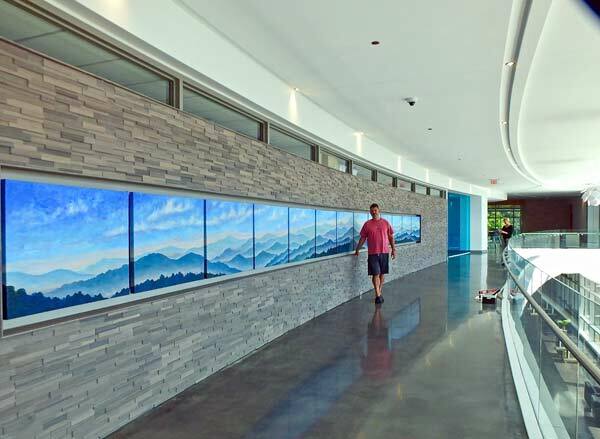 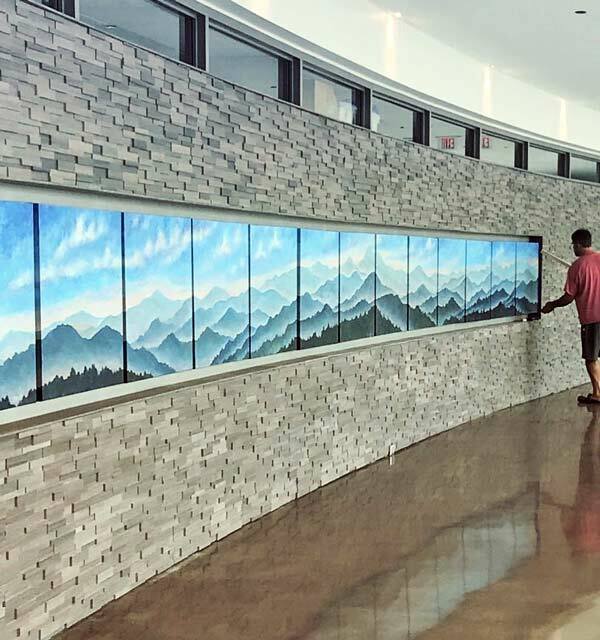 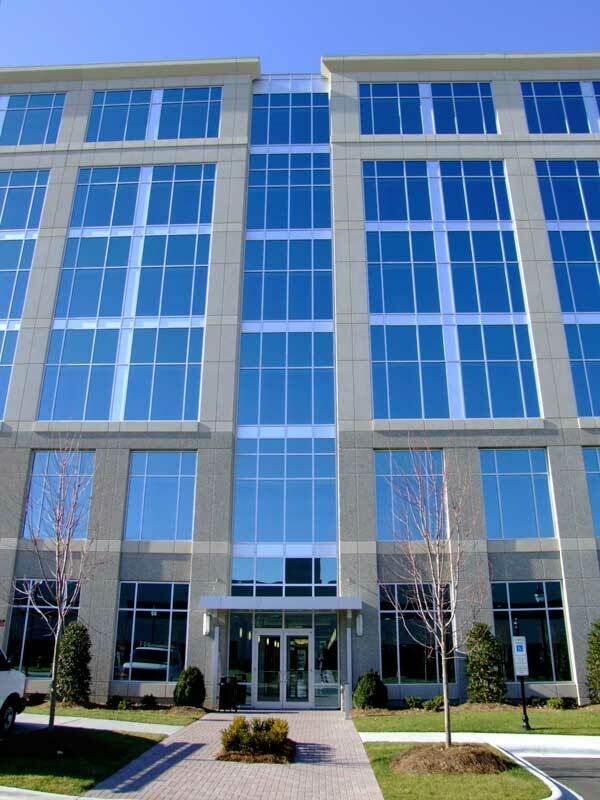 A collection of large original oil paintings is on permanent display in the lobby of the new Hayes Building at Ballentyne Corporate Park in Charlotte NC. 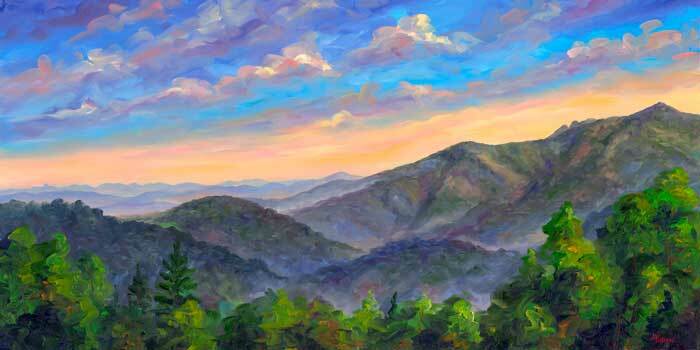 Spectacular ridges as seen from the "Dreamview Chalet" atop Beech Mountain NC. 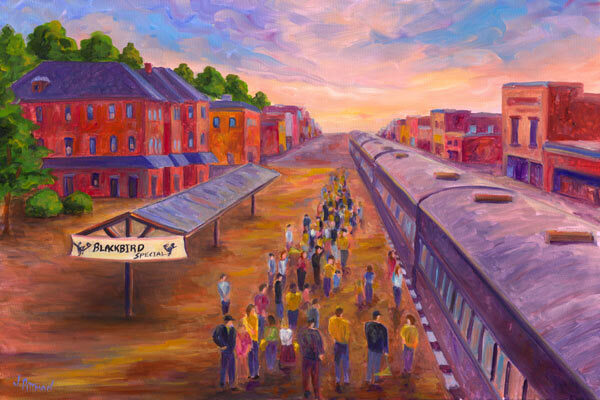 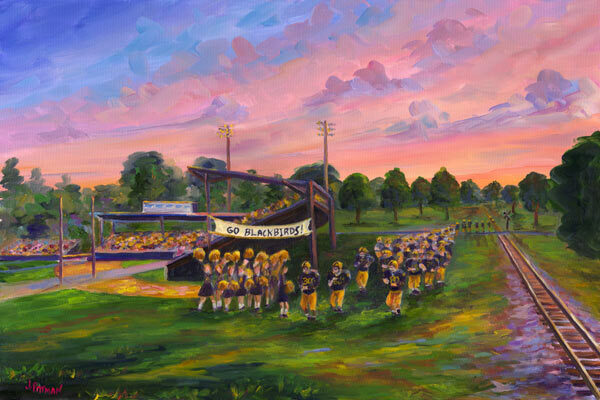 Paintings of the Rocky Mount Blackbirds, click the images to view print sizes. 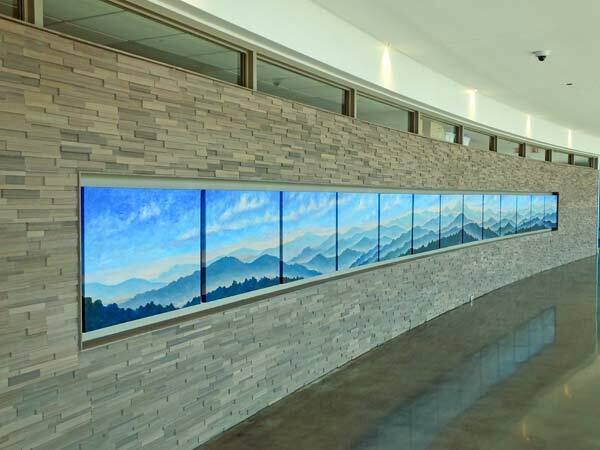 Colorful view of mountain ridges from Tennessee Visitors Center in Madison County. 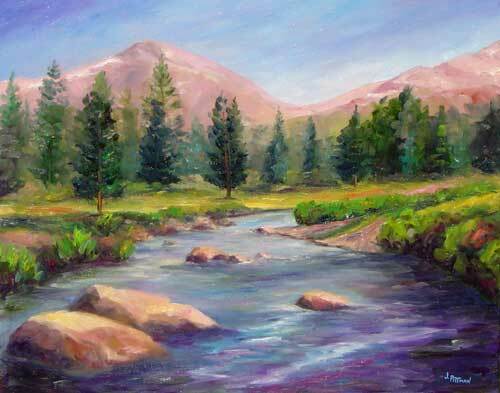 Tuolumne River in Yosemite National Park. 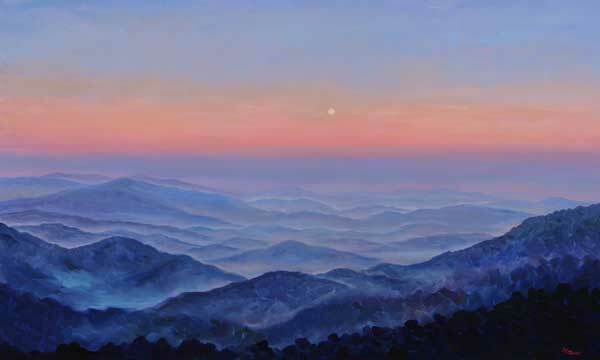 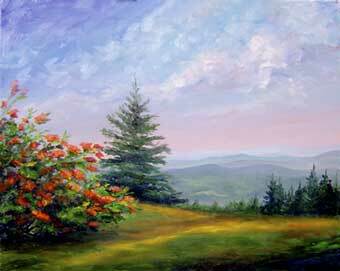 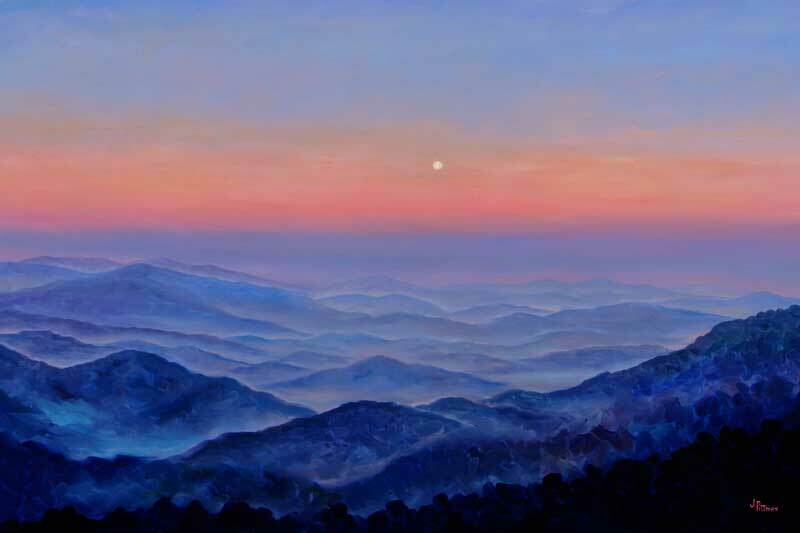 View from Roan Mountain TN, Recently Commissioned by a couple for their vacation home in Linville, NC. 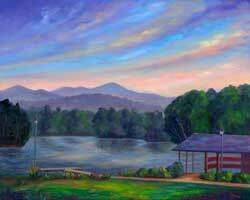 Quadtych depicting the view from a home in Laurel Park, NC near Hendersonville. 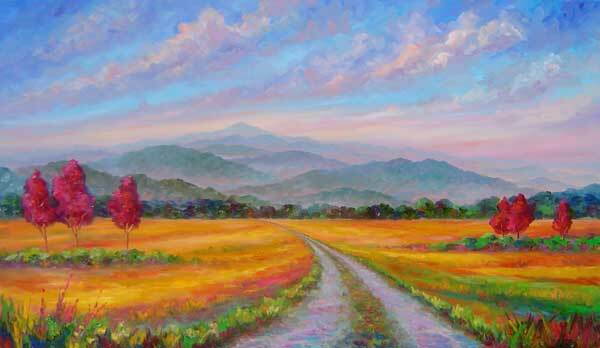 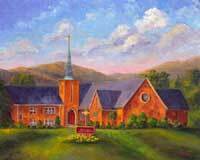 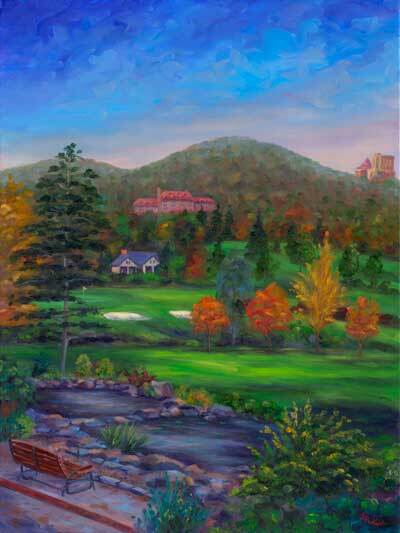 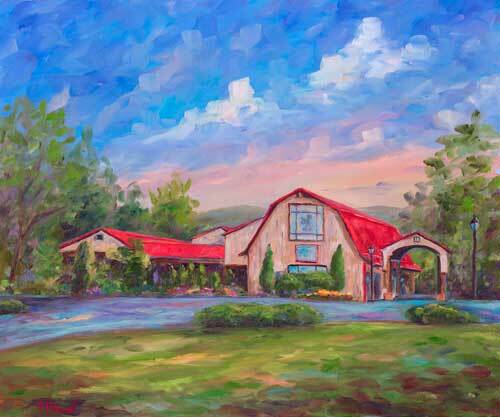 "Pisgah in Red & Gold" Large Oil Painting commissioned for Givens Estates in South Asheville. 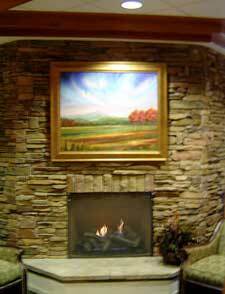 Currently on display over the fireplace in the Main Lobby. 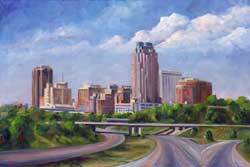 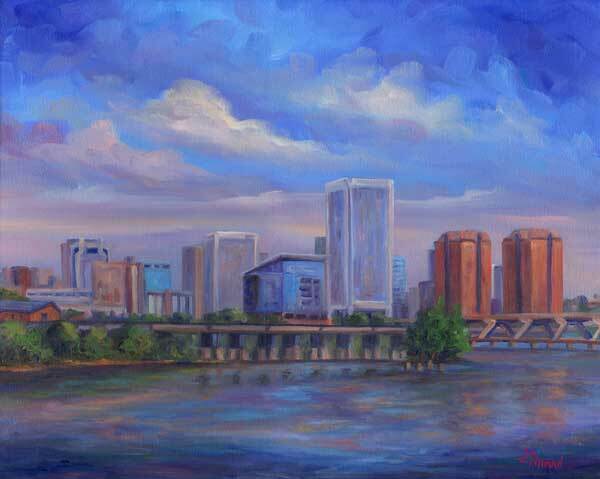 "Raleigh Skyline II" Commissioned by an Engineering Firm in Greenville, NC. 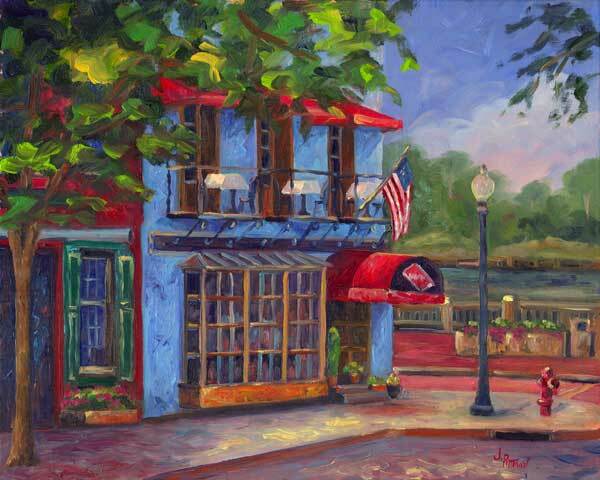 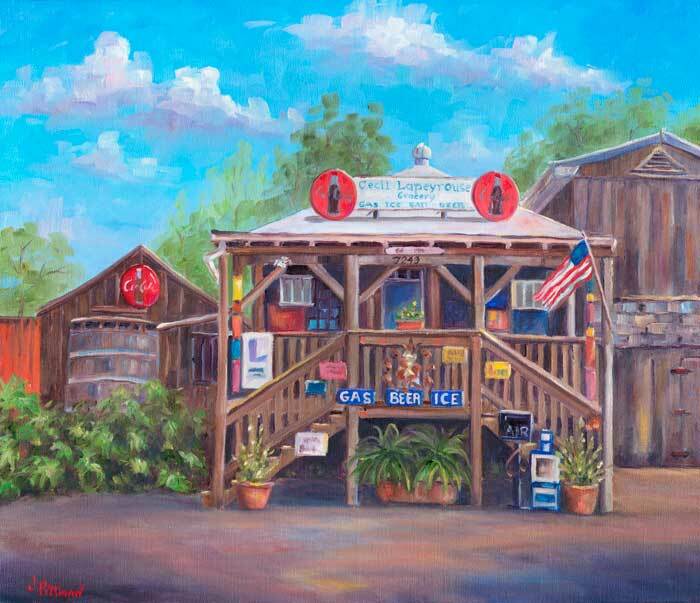 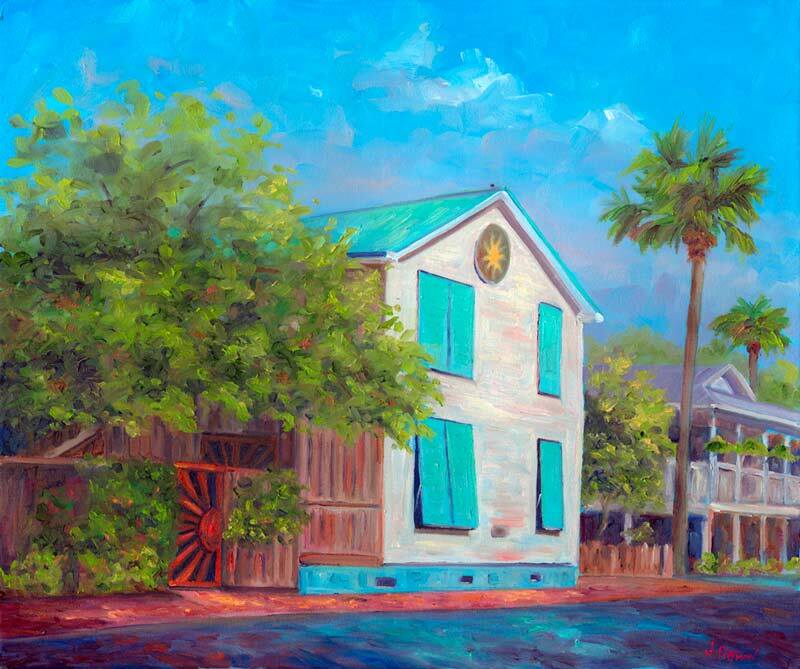 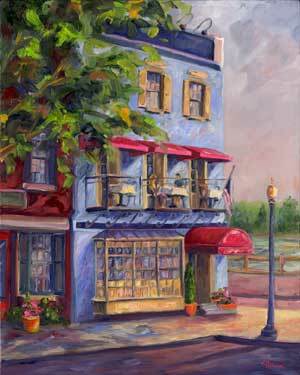 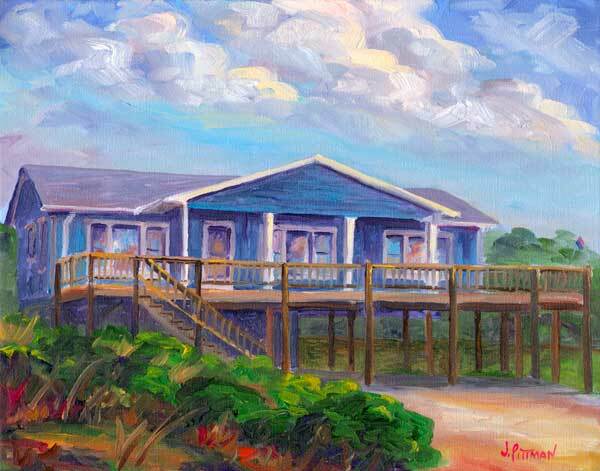 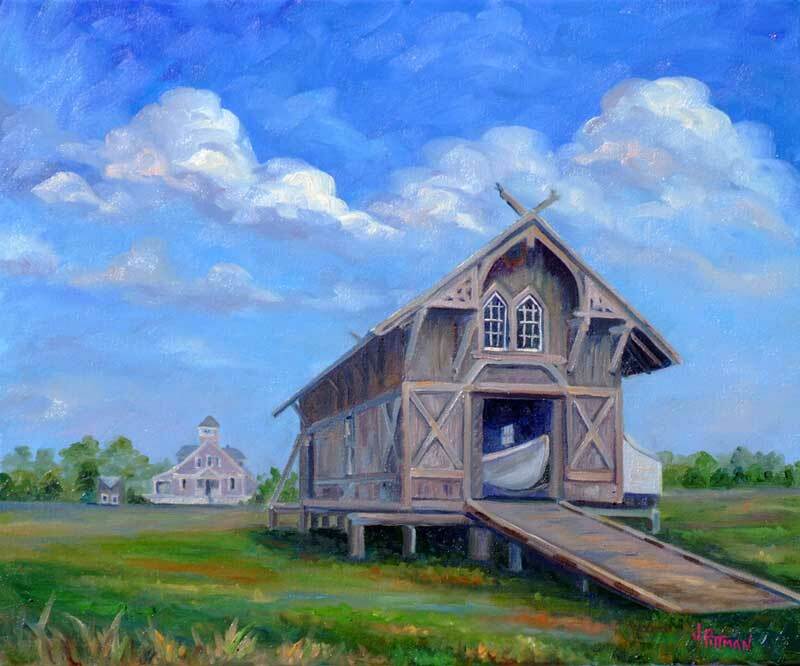 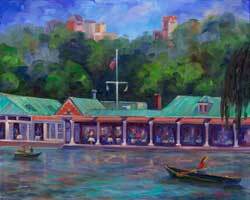 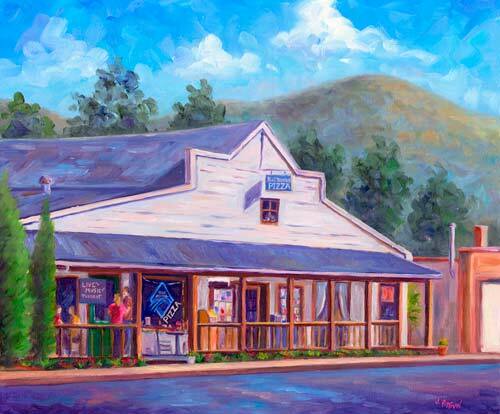 "Roy's Riverboat Landing" commissioned by the restaurant and currently displayed in their main dining room. 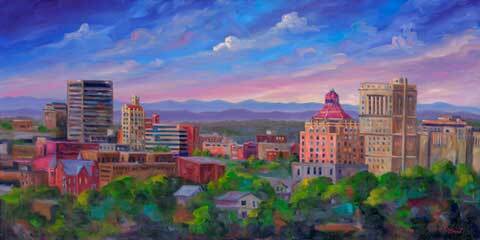 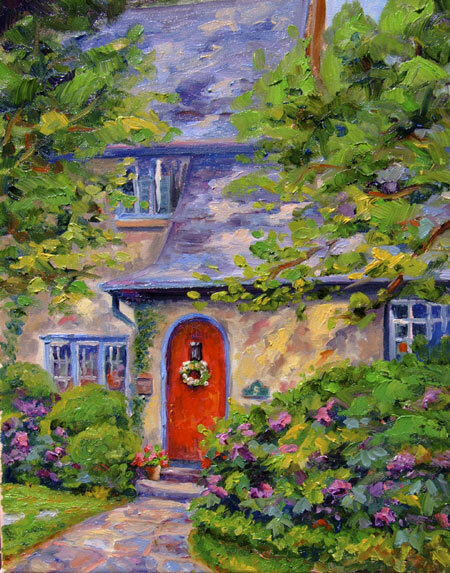 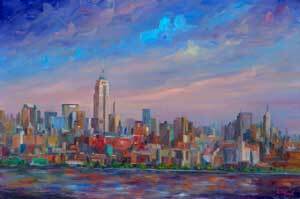 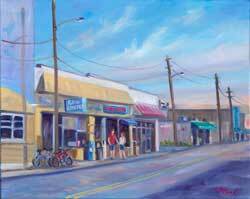 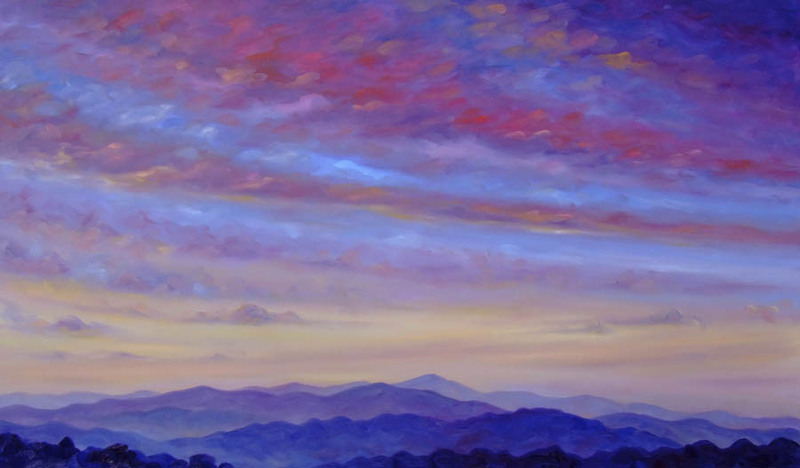 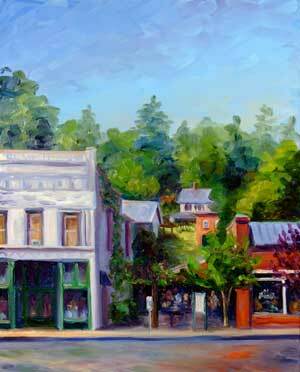 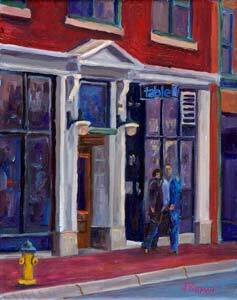 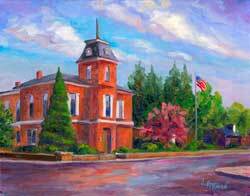 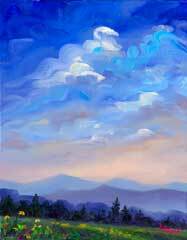 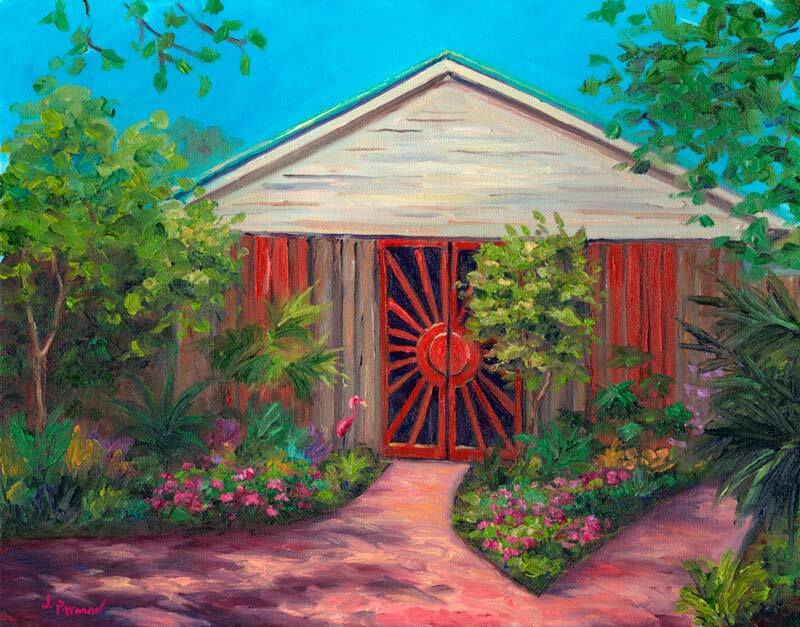 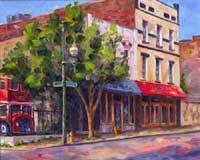 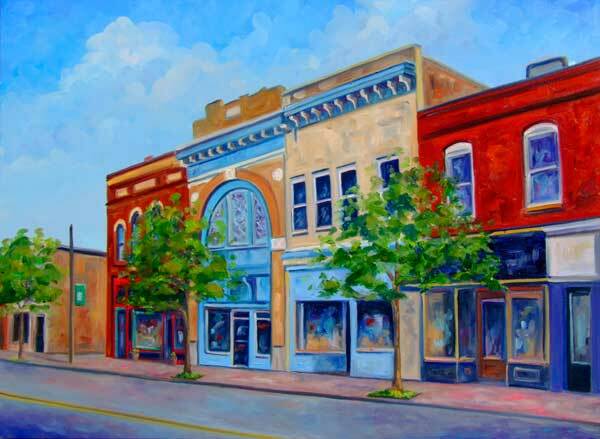 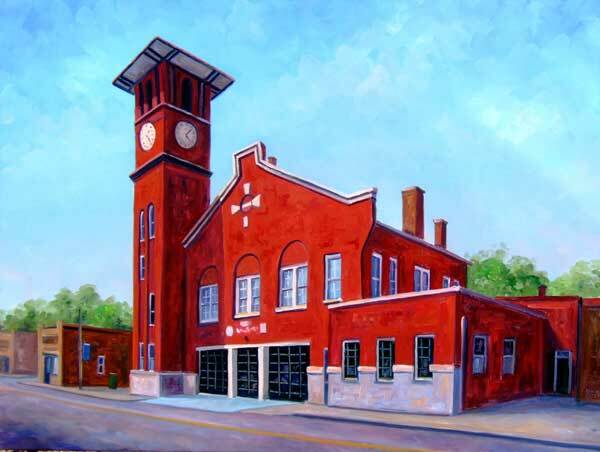 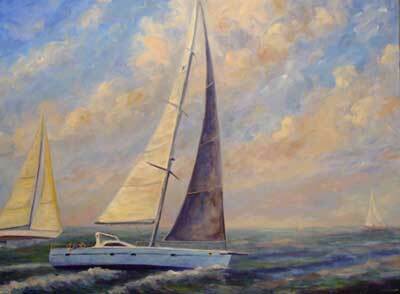 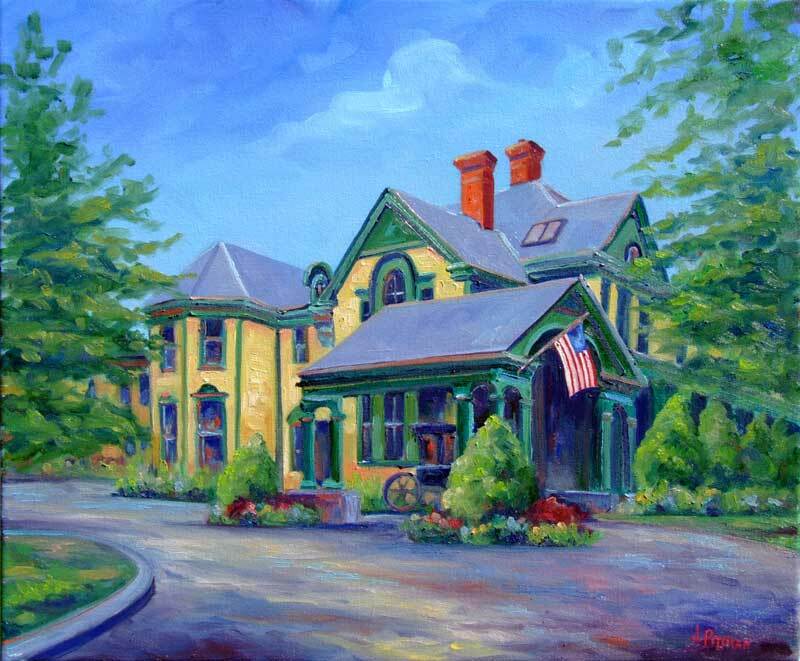 Asheville North Carolina Artist Studio in the River Arts District original oil painting commissions page.